Illuminated Tokyo Sky Tree is also attractive. 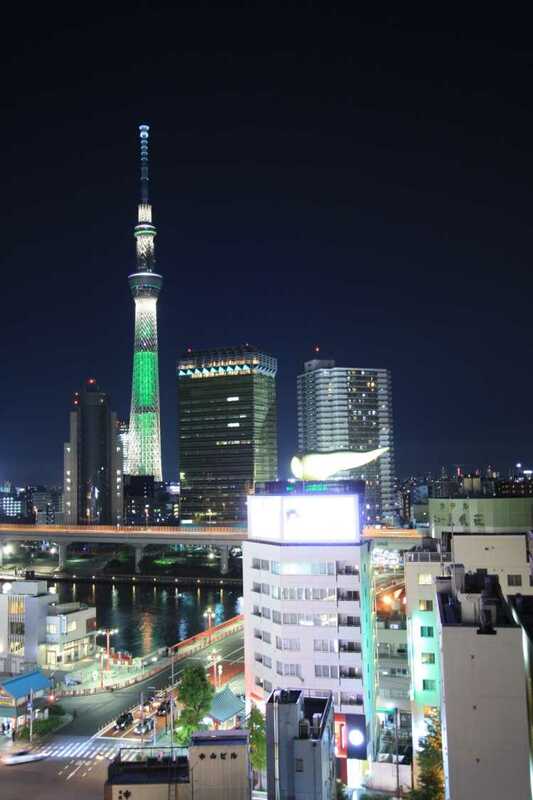 From an observation terrace of Asakusa Culture And Sightseeing Center, you enjoy the night view of Tokyo Sky Tree and around that. 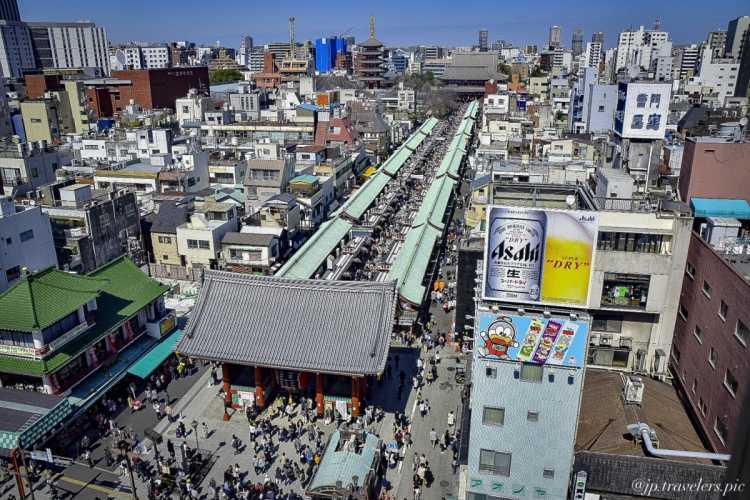 Bird's Eye View Of Sensoji Crowded With Many People In Asakusa!